Supermarket retail is notoriously competitive; all major players have seen high peaks and deep troughs in the past decade. But if one brand has entered 2014 on the front foot, it’s Sainsbury’s. The past 12 months have proved especially memorable. The supermarket emerged from the horsemeat scandal smelling of roses, while the reputations of its two main rivals suffered. Sainsbury’s then went on to overtake Asda’s market share to become the UK’s second-biggest grocer, according to figures from Nielsen, and outperformed the other three members of the "big four". The retailer continued to build on the momentum of its sponsorship of the London 2012 Paralympic Games and breathed new life into its "Live well for less" positioning. To top it off, Sainsbury’s launched a genre in marketing for its 2013 festive campaign, a 50-minute sponsored documentary comprising user-generated footage of how people spent last Christmas. Mark Given, Sainsbury’s head of marketing, told Marketing the campaign was the most exciting communications project the supermarket had ever undertaken. With achievements like these, it is little wonder that Sainsbury’s scooped The Marketing Society’s 2013 Brand of the Year award, defeating shortlist rivals BT, Paddy Power, O2 and easyJet to claim the crown. More than 750 marketers took part in a live poll at the society’s annual dinner in November, with 29% of the vote going to Sainsbury’s. Many of Sainsbury’s strategies have clicked into place. Above all, it has used its marketing communications to demonstrate an understanding of the challenges facing shoppers during tough economic times. As Russ Lidstone, chief executive of agency Havas Worldwide London, says: "There is no single factor, but Sainsbury’s has managed to get customers to leave price at the door. It hasn’t been hit by extraneous factors such as the horsemeat scandal and has created greater accessibility by developing channels such as online deliveries and ‘click and collect’." Sainsbury’s has managed to neutralise the perception that it is an expensive retailer for well-heeled customers, partly through its Brand Match guarantee and partly by making strong use of coupons at the checkout, as well as Nectar promotions. Its 2013 festive campaign, which concentrated on how ordinary people spend Christmas, showed that Sainsbury’s has connected with shoppers in recession-hit Britain in a way that has eluded its rivals. Sainsbury’s seems to have read their attitudes correctly, understanding that although times might be tough, there are limits to how far people will compromise on food quality in search of low prices. Andy Stevens, an analyst at Verdict Research, agrees. "The core for Sainsbury’s is its push around the ‘Live well for less’ strapline, which has been used to help shoppers understand that they don’t have to spend as much money to get decent quality. 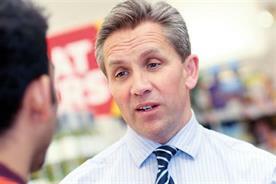 Other grocers just don’t do it as well as Sainsbury’s," he says. In reality, delivering that quality and value combination is down to the core retailing skills of buying and creating effective relationships with suppliers. Equally important is having ruthlessly efficient operational systems, but not allowing this to make the customer feel that they are being treated as a cog in a giant machine. Sainsbury’s seems to have read shoppers’ attitudes correctly: there are limits to how far they will compromise. A big challenge for supermarket retail is to maintain warmth and personality, even in the midst of a huge automated operation. Sainsbury’s appears to have achieved this more successfully than its rivals. The "Live well for less" strapline was introduced in 2011 to replace the "Try something new today" slogan, and the value-driven ethos appears to have been instilled across the organisation. 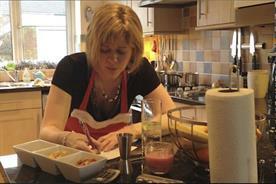 The idea has been played out in campaigns using themes such as "Love your leftovers". It is part of a wider approach that the chain calls "value and values" – affordable products with an emphasis on quality, social and environmental values. It was Sainsbury’s strategy of focusing on quality and building supplier relationships that came into its own during the horsemeat scandal, which, at the time, hit the reputations of rivals Tesco and Asda. According to Nielsen, Sainsbury’s market share overtook that of Asda in the 12 weeks to 12 October, hitting 16.6%, 0.2% ahead of Asda. In November, Sainsbury’s announced a 7% rise in first-half pre-tax profits, which increased to £400m for the six months to 28 September; sales were up 4.4% to nearly £14bn. The supermarket has now posted 35 consecutive quarters of growth. Sainsbury’s has pursued an aggressive store-opening programme, with six supermarkets and 50 convenience stores opened in the first half of 2013. Online sales are growing at 15% and are worth about £1bn a year. The chain is also boosting its offering of non-food merchandise, where sales are double those of food. Ultimately, however, it is the retailer’s food offer that marks it out from rivals. Sainsbury’s own-label sales are growing at twice the rate of its branded products following the relaunch of its By Sainsbury’s range. According to Rob Rees, a former Unilever, PepsiCo and Campbell’s Soup marketer currently working for pottery brand Denby, the Sainsbury’s success story is down to the long-term brand-building strategies of chief executive Justin King, who learned his marketing skills at Mars. When King took the helm in March 2004, Sainsbury’s was in the doldrums, while Tesco appeared invincible. Asda had regained its strength and Morrisons was still new and fresh on the national scene. "He didn’t panic about the state of the business with a knee-jerk reaction or some tactical play, like so many retailers," says Rees. 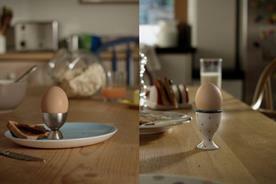 "He realised he had a great brand with a reputation for quality and service that was accessible to most demographics. What King has done is rebuild the brand carefully and consistently in a retail environment that is more competitive than ever. 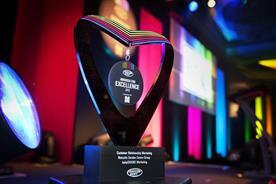 He has the ultimate brand equation – high perceived and actual quality, and competitive prices." Nonetheless, Sainsbury’s rivals are already preparing to fight back; the brand may yet stumble. But the retailer’s marketing team has been at the forefront of conveying the message that the chain understands the needs of Middle Britain and empathises with people’s hopes and difficulties. 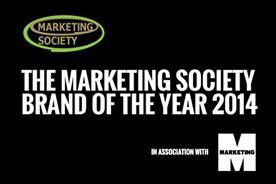 Marketing director Sarah Warby, who joined the chain at the beginning of 2012 from Heineken, summed it up when accepting The Marketing Society’s Brand of the Year award. She said: "Our brand’s strength comes from our consistency – staying focused on serving our customers and continually helping them to live well for less." Tesco and Asda are in hot pursuit, but, as long as Sainsbury’s can steer clear of the corporate scandals so prevalent among modern business, it stands a good chance of being one of 2014’s most-talked-about brands – for all the right reasons. 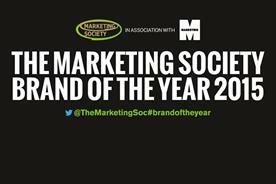 Marketing Society Brand of the Year 2014: VOTING IS OPEN!